go to the Grafana menu (top left) > "datasources" > "add data source"
You can define variables at datasource level (~ organisation level) which can be available for all dashboards. you can put tokens, constants, macros, ... In case of a macro definition, the variable value must start with <% and end with %>. In the query you can prepend @ to the macro name to execute it. On a new dashboard, in a graph edition, choose your previous datasource and click add query. You can write your WarpScript on the editor below, for beginners, you can uncheck warpScript editor, a user friendly query editor will appear. A query is composed by 2 component, the WarpScript from WarpScript editor and the WarpScript from friendly query builder, check or uncheck the WarpScript editor will execute the corresponding WarpScript. 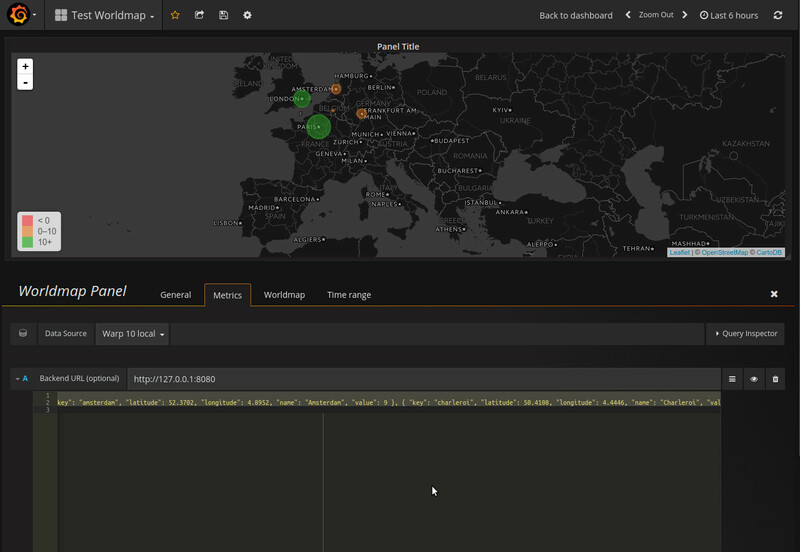 You can use ovh-warp10-datasource as datasource for showing position data on grafana using grafana-worldmap-panel plugin. 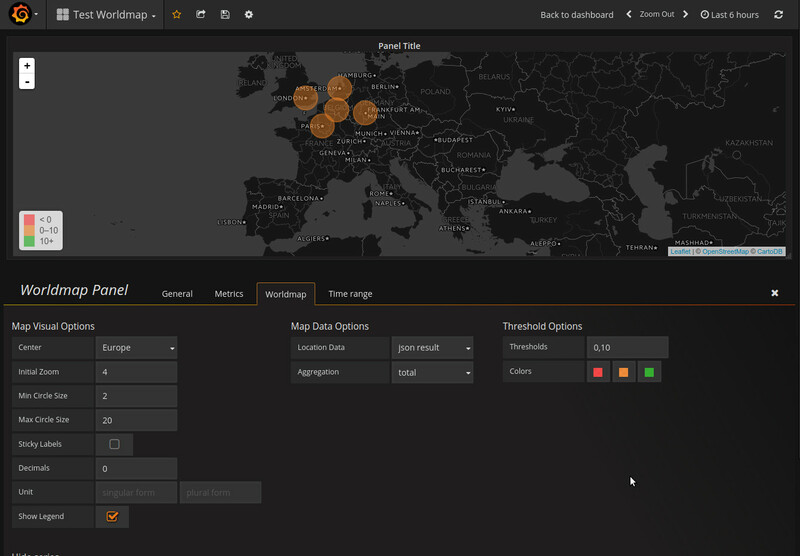 In order to do it, you need to install the grafana-worldmap-panel plugin: Worldmap Panel. /!\ all of the templating values are casted into strings by Grafana engine.